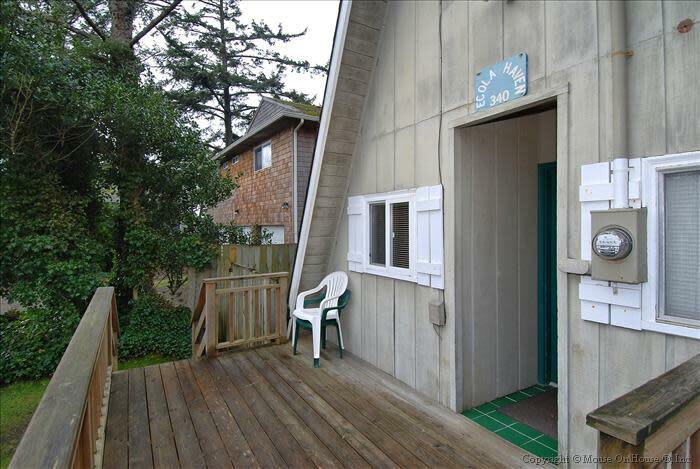 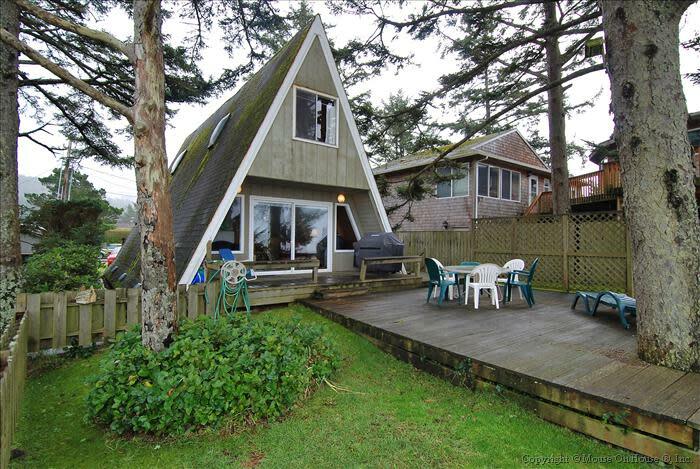 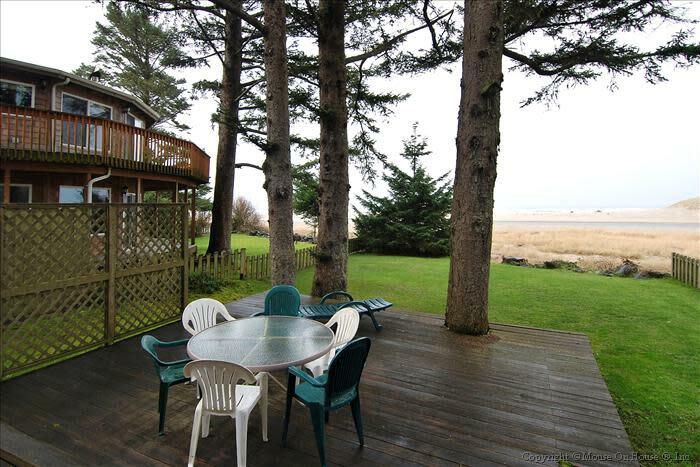 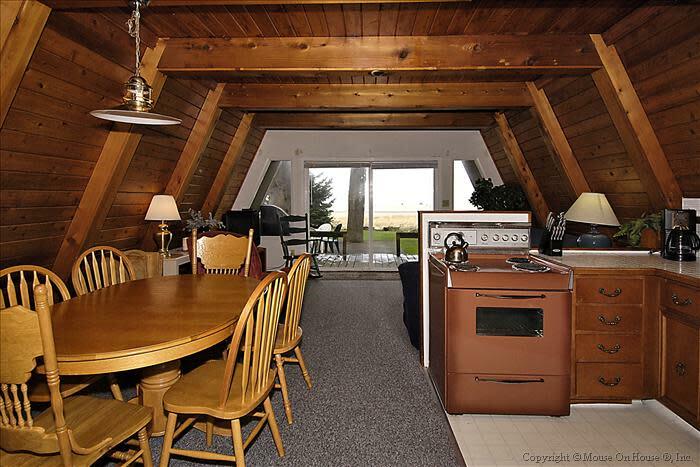 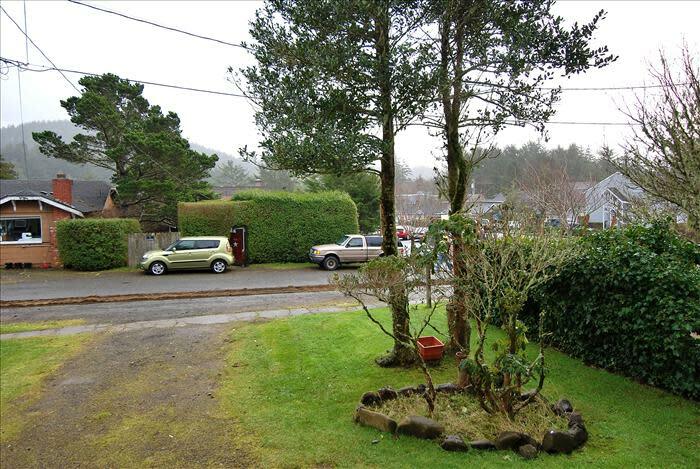 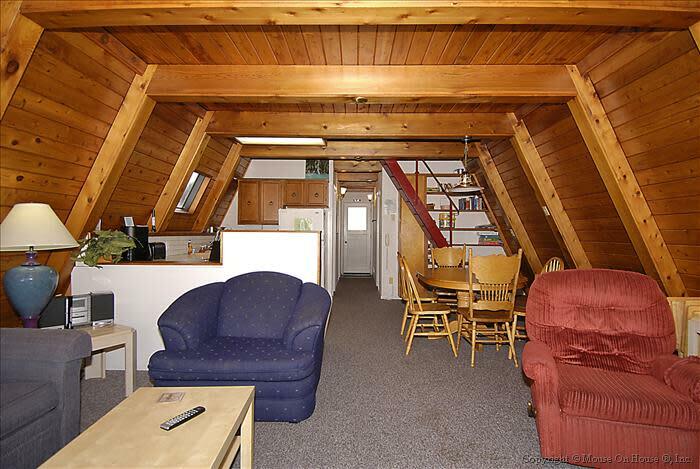 3 Bedrooms / 2.5 Bathrooms / Sleeps 8 people Welcome to Ecola Haven! 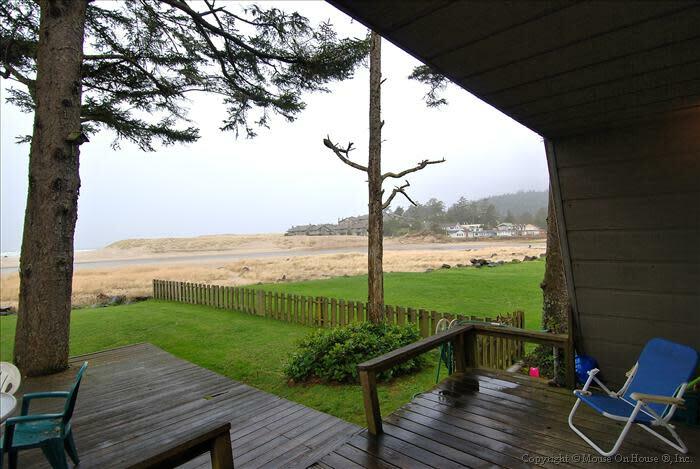 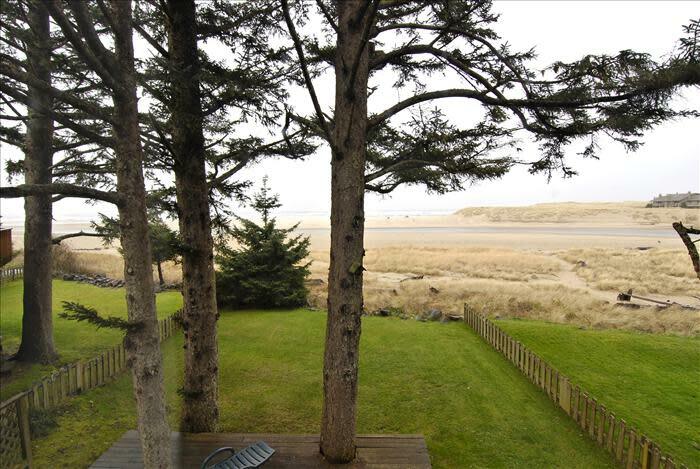 You will find Ecola Haven in a perfect place, where the estuary meets the sea. 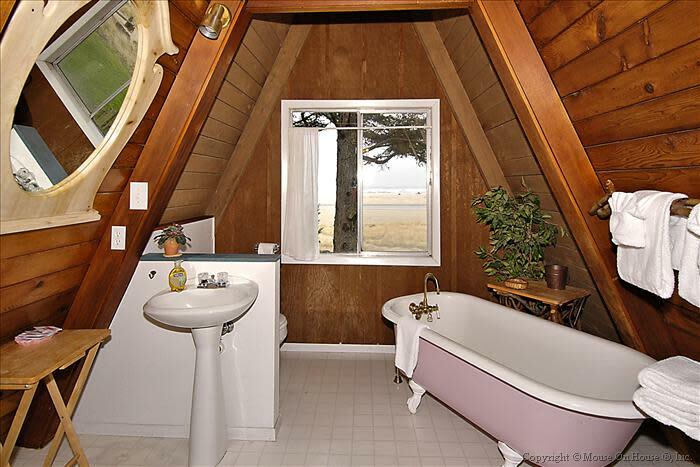 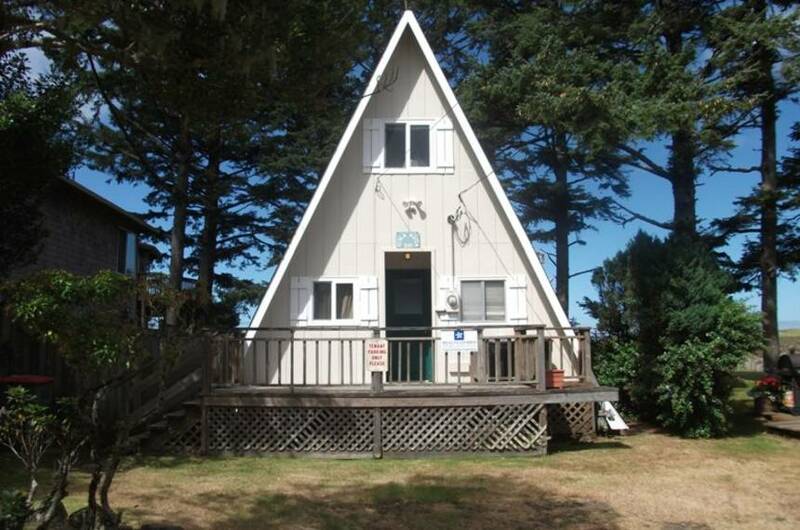 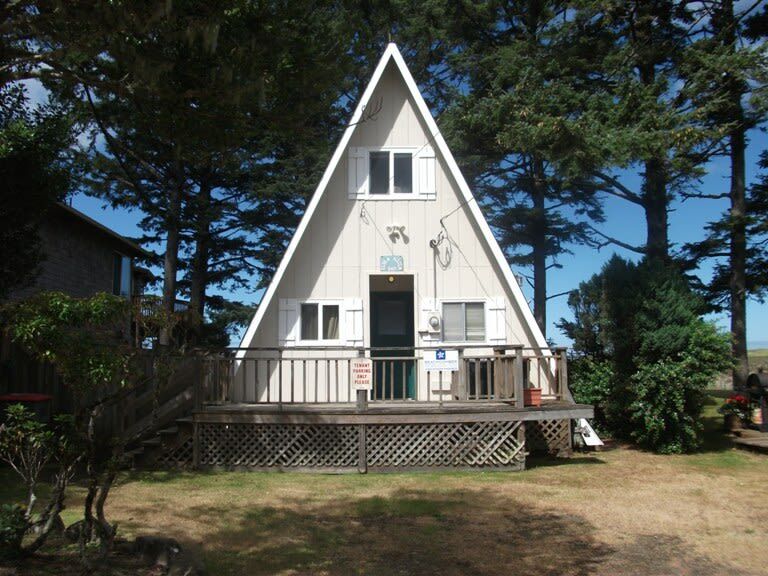 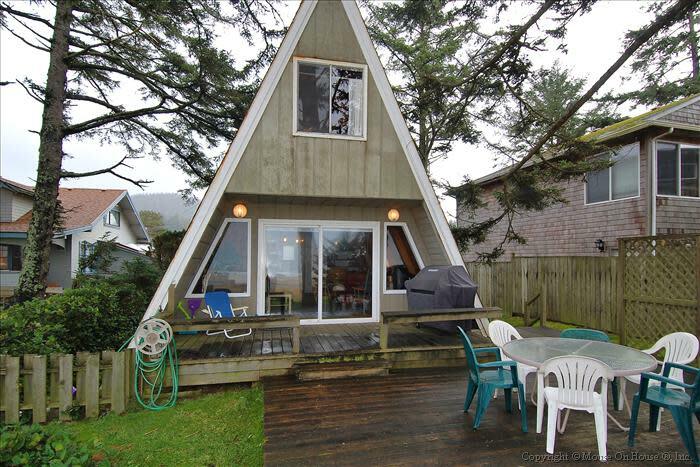 This charming A-frame house is located only 2 blocks from downtown, but feels miles away with stunning views of the ocean and the estuary. 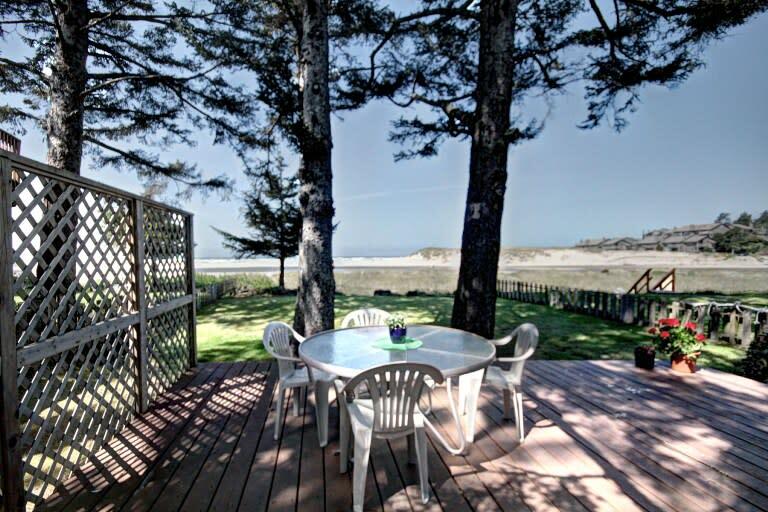 A large deck and yard gives you plenty of space for playing, soaking up the sun, barbecuing, or just relaxing with a good book. 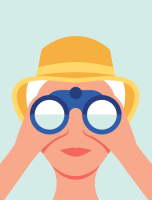 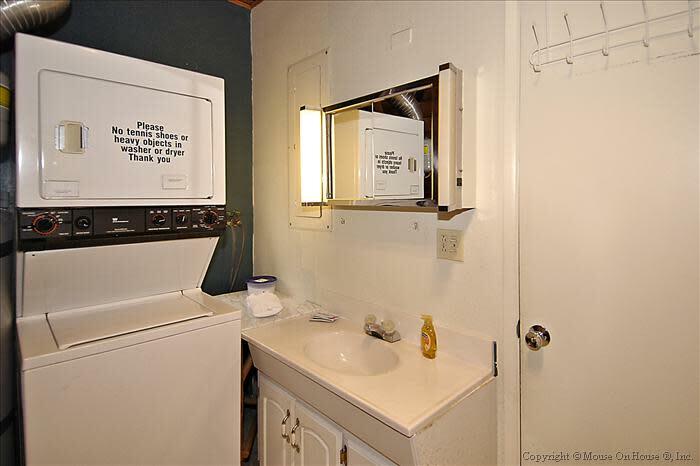 Inside is everything you need. 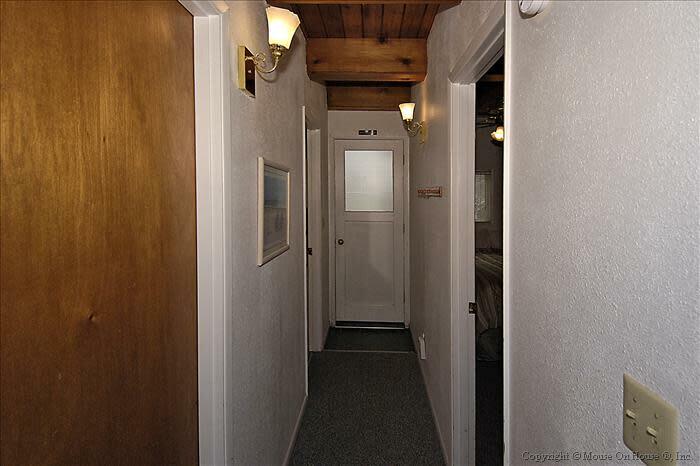 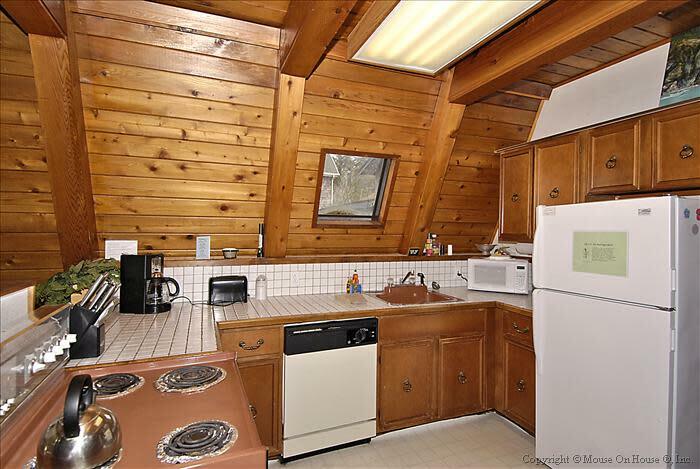 With three bedrooms and two and half baths, there is space for 6 to 8 people. 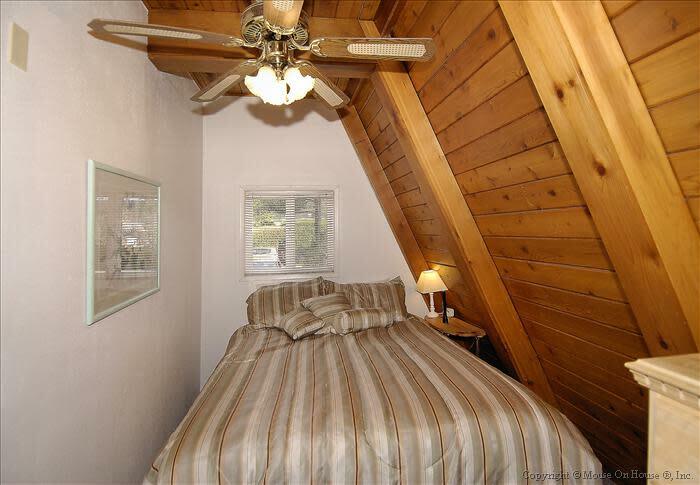 Downstairs you will find the living area, and a bedroom with a queen bed. 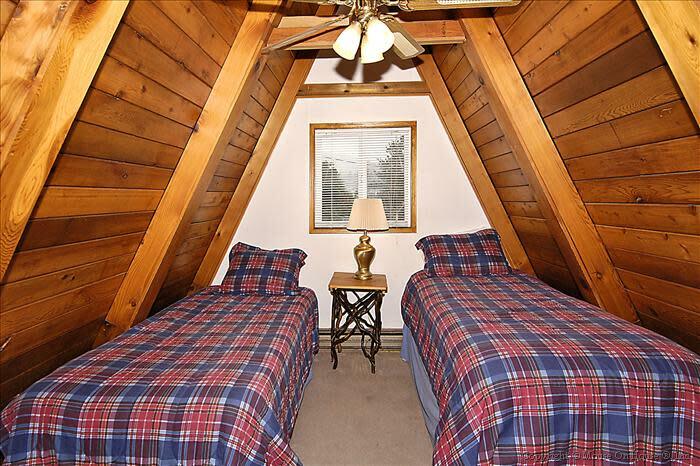 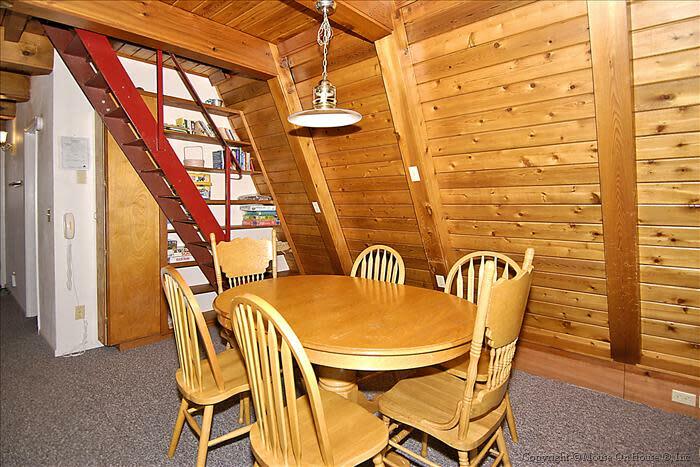 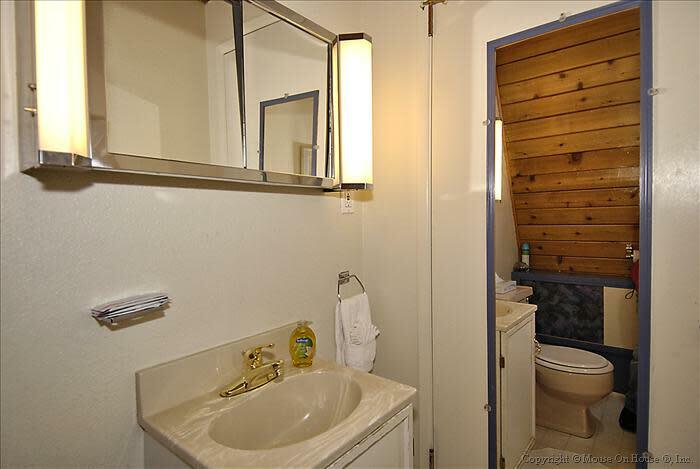 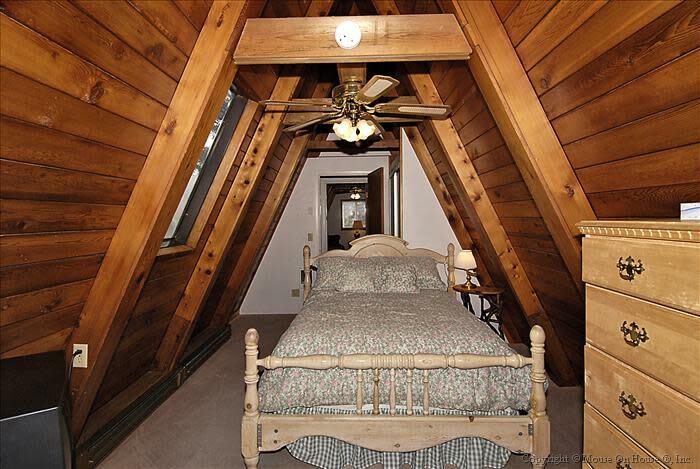 Climb the ship’s ladder to the second floor and find two more bedrooms (one with a queen bed, the other with two twins), and a bath with a claw foot tub. 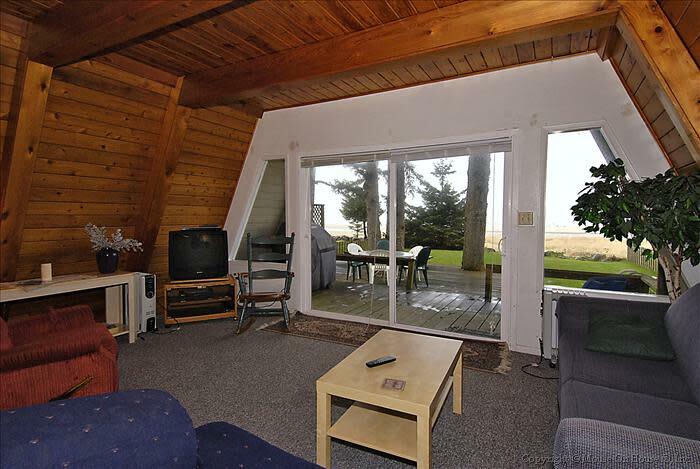 With a location ideal for walking on the beach, and downtown close at hand, Ecola Haven has everything you need for the perfect stay in Cannon Beach.